Eco Wave Power founder Inna Braverman was only two-weeks old when the Chernobyl nuclear reactor exploded. Living 200 miles away in Cherkassy, Ukraine, Inna and her family were exposed to high levels of radiation. Suffering from health complications after the nuclear accident, Inna almost died. Her mother, a nurse, saved her life using mouth-to-mouth resuscitation. Surviving the Chernobyl nuclear disaster gave birth to Braverman’s unwavering passion for exploring alternative, renewable energy. She believes that clean energy solutions not only create positive environmental impact, but help improve the health of children and communities around the world. 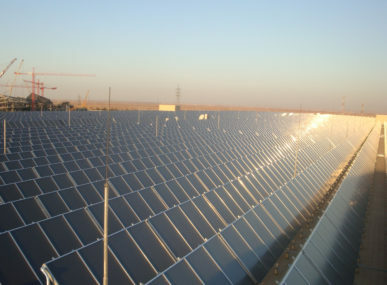 After graduating from university in Israel, Braverman started working for a renewable energy company as an English translator. This experience gave her the opportunity to learn new things and gain expertise. Braverman also began to see the untapped potential of creating energy from waves along the Mediterranean coast. While the solar and wind energy industries in Israel and around the globe have flourished over the past few decades, large-scale wave energy technology solutions had not yet become profitable. Braverman realized that if wave energy technology could be developed and scaled-up into a successful global business, then hundreds of thousands of homes could be powered through renewable energy. On the other side of the world, Eco Wave Power co-founder David Leb came to the same revelation. Struck by the power of the waves while visiting his surf camp in Panama, he also spent day and night researching wave energy technology. Braverman and Leb first met serendipitously at a pool party in Herzliya, a city in northern Tel Aviv. Realizing their shared passion for wave energy, they began to lay the foundation for Eco Wave Power. Braverman and Leb’s first matter of business was to refine and test the wave energy technology. Working with a team of scientists and engineers, Eco Wave Power designed and implemented its first pilot plants at the Hydro-Mechanical National Institute in Kiev, Ukraine, in the Crimean Peninsula, and finally in Israel’s Jaffa Port. Eco Wave Power’s floating systems are built on existing breakwaters and sea walls. The rise and fall of the waves create pressure, spinning a generator that produces clean electricity. Once these pilot projects proved successful, Inna turned her attention growing Eco Wave Power by meeting with government officials, investors, and business representatives from around the world. Although she faced challenges as a woman founder and CEO in a largely male dominated field, she overcame them through persistence and patience, letting the potential of wave energy speak for itself. In May 2016, Eco Wave Power launched its first full-scale project—a wave energy plant in Gibraltar. 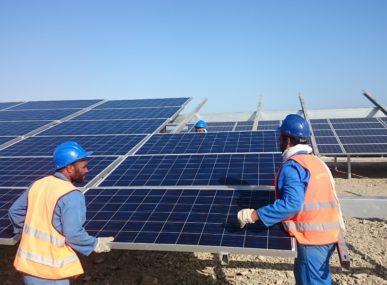 The plant provides electricity for communities, businesses, and homes in Gibraltar. The government of Gibraltar hopes that wave energy will reduce their CO2 emissions long-term and help the peninsula reach its goals of carbon neutrality. Next up are large-scale wave energy projects in Chile, China, Mexico, and the United Kingdom (UK). 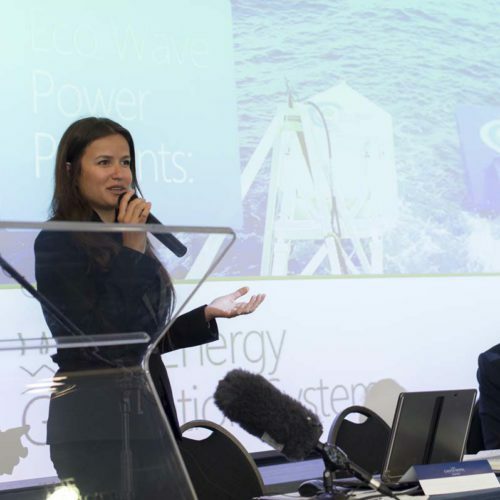 Eco Wave Power will also explore opportunities to expand their Jaffa wave energy plant. 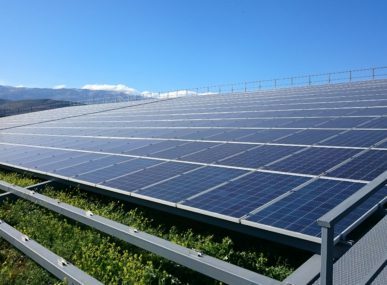 While the plant serves as the company’s research and development (R&D) site, it could provide more electricity for homes and businesses within Israel.